According to FCInterNews, Manchester United target Ivan Perisic has sent his agent to hold talks with the English club over a transfer. 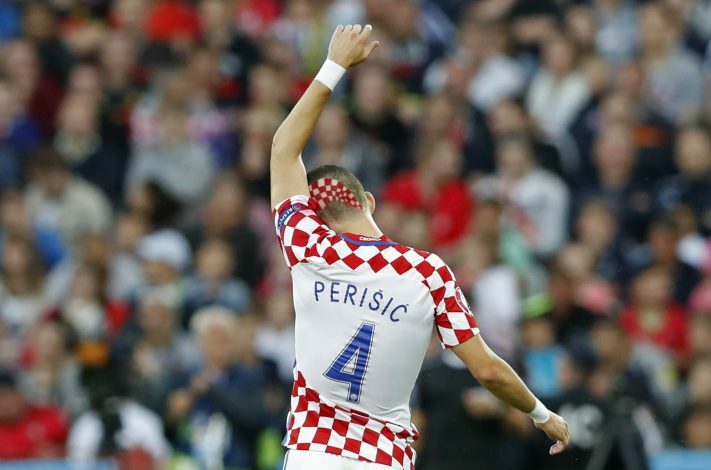 Ramadani, the agent of Perisic, is in Manchester, where he is believed to be pushing for a transfer to go through. Manchester United and Inter Milan have failed to reach an agreement so far, with both clubs finding each other way apart in their valuations. In an attempt to resolve the future of his client, Ramadani has flown to Manchester, to try and persuade the Red Devils to raise their bid and reach an agreement with Inter. Jose Mourinho is a big fan of Perisic, but the Portuguese coach feels that the Italian club is asking for too much money for the winger. So far, Manchester United have seen a number of bids rejected by Inter, who value their prized asset much higher than what the English club is offering. The Reds’ final bid, £35 million, was straightaway rejected by Inter Milan, who are holding out for a bid in the region of £50 million. Meanwhile, Jose Mourinho remains active in the transfer market, as the Portuguese tactician feels that there is still scope to improve his squad. Along with Perisic, Manchester United continue to be linked with Danny Rose of Tottenham. The English left-back has announced his desire of leaving for a better opportunity in public domain. With the Premier League kicking off this weekend, all the clubs, including Manchester United, will look to make the most out of final 3 weeks of transfer window, which closes on 31st August.